Matt Mazloff fishes out a postcard. It’s a simulated aerial view of the bottom of the world, with Antarctica in the middle and the tips of South America, Australia, and a smidgen of Africa peeking in from the corners. But it’s not the land that Mazloff is interested in. It’s the huge expanse of water encircling Antarctica—the Southern Ocean. “I’m just fascinated by it, there are so many open questions,” he said. Mazloff has fed that fascination as a graduate student in the MIT/WHOI Joint Program, creating a computer model that simulates the complex dynamics of the world’s southern oceans—a wild and woolly region that is roughly 13 times the size of the United States and very poorly understood. He has developed the so-called Southern Ocean State Estimate, or SOSE—a project that involves using reams of measurements and observations—taken by ships, orbiting satellites, drifting floats, and even electronic transmitters strapped to elephant seals—and synthesizing them in accordance with the laws of physics and fluid dynamics. Mazloff, a physical oceanographer, feeds it all into a supercomputer at San Diego Supercomputing Center. The computations create simulations—resembling those that meteorologists have for atmospheric weather—of how the ocean is moving and working. The model can fill in the blanks in places where no observations have been taken. “What’s created, then, is a model that accurately tells the story of the Southern Ocean’s state at any location and over a given period in time,” he said. For oceanographic purposes, the Southern Ocean extends from the coast of Antarctica north to about 35 degrees southern latitude (for comparison with the Northern Hemisphere, this is analogous to the area north of Charlotte, North Carolina) and connects the Atlantic, Indian, and Pacific Oceans, which radiate from it like spokes on a wheel. The vast Southern Ocean stores and moves huge amounts of heat and the greenhouse gas carbon dioxide around the globe, and so it plays a critical role in regulating Earth’s climate. 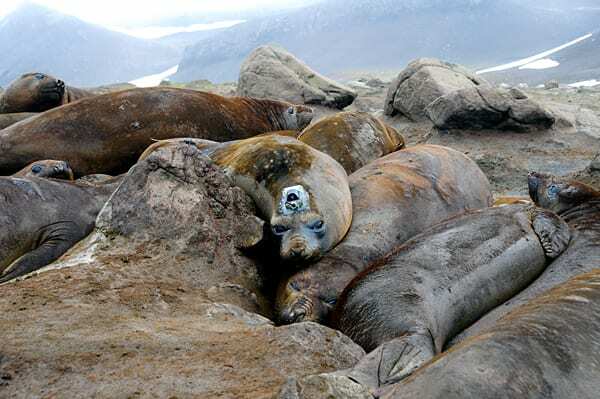 It is also one of the world’s most fertile oceans, teeming with microscopic marine plants and animals that feed a wealth of fish, penguins, seals, whales, and seabirds. Despite its importance, the Southern Ocean has defied study mainly because of its remoteness, cold, windy weather, high-rise tidal surges, ice-choked waters, and complete darkness for nearly half the year. Only within the last decade, with technological advances, have more data come in from the Earth’s southern polar region. He earned a master’s degree in biophysics, specializing in the interaction of DNA and lipids. But he was frustrated by the work, because “everything was so small,” he said. Then, in 2001, he heard from a friend who was living on Cape Cod about the MIT/WHOI Joint Program in oceanography. Intrigued and yearning for something different, Mazloff applied. “I became a student partly so I could live on the Cape,” he said with a broad smile. At WHOI, Mazloff applied his training in physics, studying how the ocean flows at topographical (land) edges and building a miniaturized version of the Labrador Sea to study the geophysical fluid dynamics in detail. It was “clean, idealized” work, he said. Soon after he sought out his Ph.D. advisor, Carl Wunsch, and became part of the Estimating the Circulation & Climate of the Ocean (ECCO) consortium, a group of researchers seeking to model the oceans and their climate impacts globally. He was especially drawn to the Southern Ocean and the chance to help create a model that would yield the most accurate, comprehensive picture to date of how this big mysterious region works. 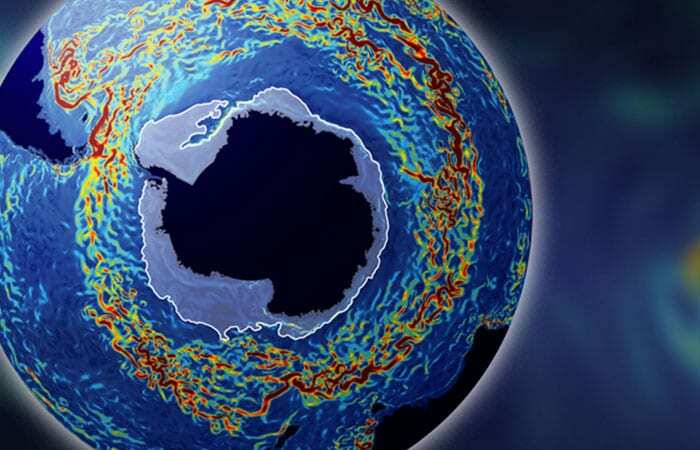 Culminating the research for his Ph.D. degree, Mazloff produced and analyzed model simulations spanning 2005 and 2006 that revealed Southern Ocean dynamics with increasing accuracy and unprecedented detail. 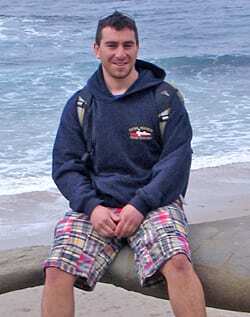 He defended his dissertation in July 2008, and two weeks later drove cross-country to continue his ocean studies as a postdoctoral researcher at the Scripps Institution of Oceanography. Mazloff’s research as a graduate student was supported by grants and contracts from the National Aeronautics and Space Administration and the National Ocean Partnership Program. Computational resources were provided by the San Diego Supercomputer Center under a National Science Foundation Teragrid grant. As a student, he was supported by The J. Seward Johnson Fund and The Virginia Walker Smith Fund.